As you can see with the picture of the back of this 12X-USB camera we have a network interface and a audio input. 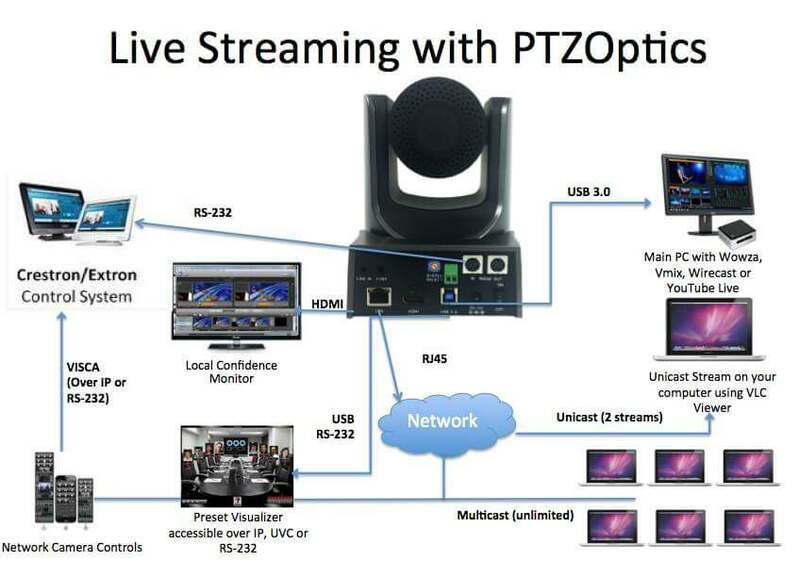 These will be the main inputs you will use when it comes to live streaming. The USB 3.0 and HDMI outputs will also work simultaneously which are ideal for confidence monitors, video conferences and local recording on any computer or recording device. Are you streaming video for your church? Check out this article on the Top 5 Streaming Services for Houses of Worship. We recently reviewed the top 3 ways to stream to YouTube Live. YouTube Live is a great way to stream your next broadcast video to 100’s of thousands of viewers for FREE! The best part of YouTube Live in my opinion are the built in community and SEO building event marketing access to YouTube & Google Plus. The event marketing really works great and YouTube will save and catalog your entire live stream as a re-watchable video your can embed in your website. In fact you can even embed the live stream in your website and then it will simply turn itself into a video when the live event is complete (with some time for processing in between). VMix is a little bit different from streaming to YouTube Live directly because you can control the video mixing upstream from your RTSP or RTMP stream you are sending to YouTube Live. VMix can also send a “Virtual Camera” stream that you can send to a video conferencing software like Skype or GoToMeeting. 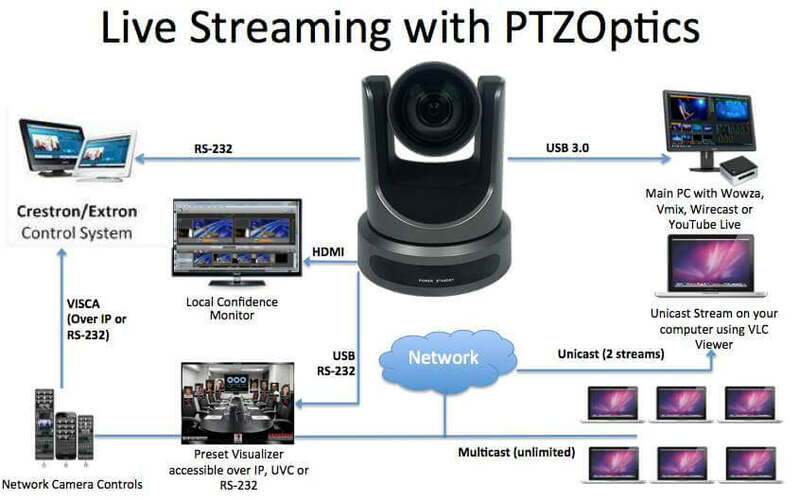 See how easy it is to add a PTZOptics USB camera as a feed into VMix before you set your live stream to a CDN like Wowza, Wirecast or Acamai.